The first card is for my husbands cousin who's graduating. 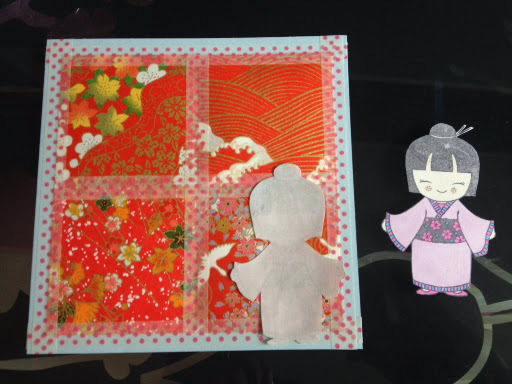 I choose some origami papers in red and a light blue card to break off the red. I taped them in place with washi-tape. 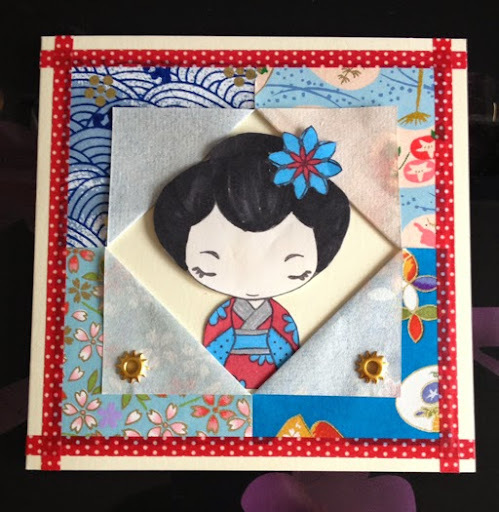 The geisha is from Hero Arts Good fortune, and is painted with promarkers. I then did an extra geisha in grey to have as a shadow. 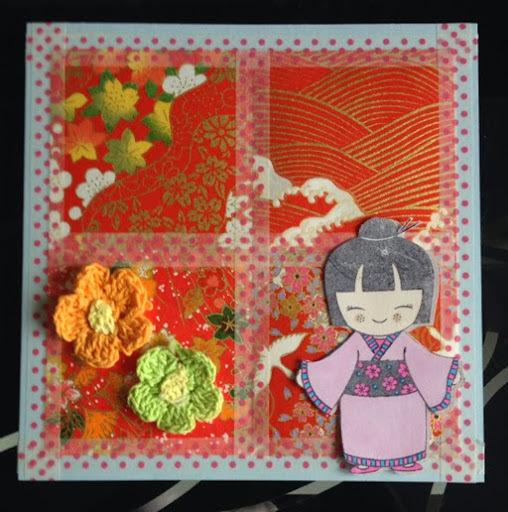 Finally I added the geishas and two crochet flowers to balance it off. The second card is for my dear friend Åsa, who had her birthday recently. 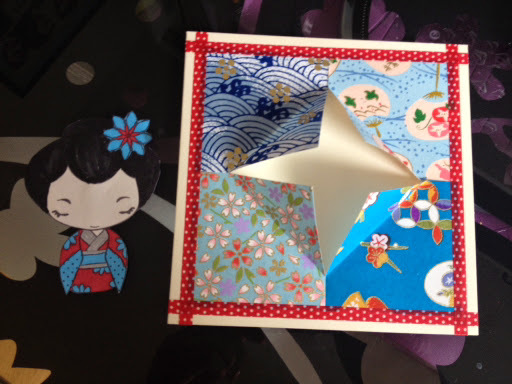 She loves blue, so I chose that color on the origami-papers. And her geisha is from TGF. 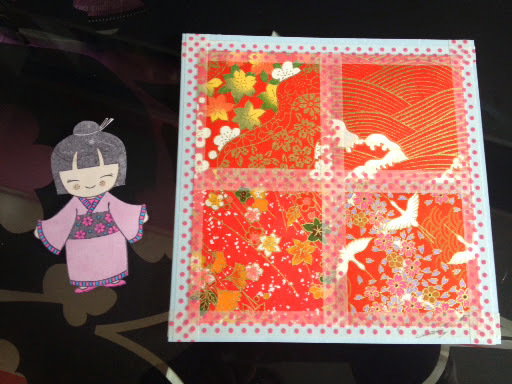 I first planned to have the papers like the other card, but thought that it might become to messy. So I folded them to the sides, so it lookes like she's behind them. Then I attached eyeleys to the bottom ones, and put some washi-tape around them.